Use a text editor to write an HTML document. Q: What is Notepad and where do I get it? What you just made is a skeleton html document. This is the minimum required information for a web document and all web documents should contain these basic components. 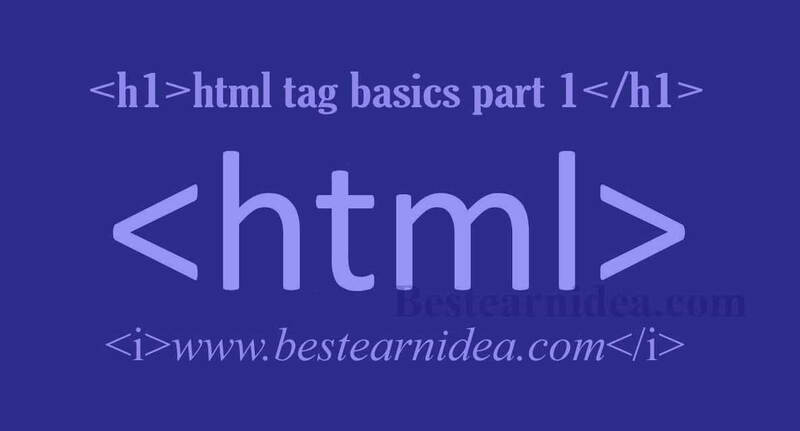 The first tag in your html document is < html>. This tag tells your browser that this is the start of an html document. The last tag in your document is < /html>. This tag tells your browser that this is the end of the html document. displayed in the browser window. identify each document and is also displayed in the title bar of the browser window. The text between the < body> tags is the text that will be displayed in your browser. The text between the < b> and < /b> tags will be displayed in a bold font.